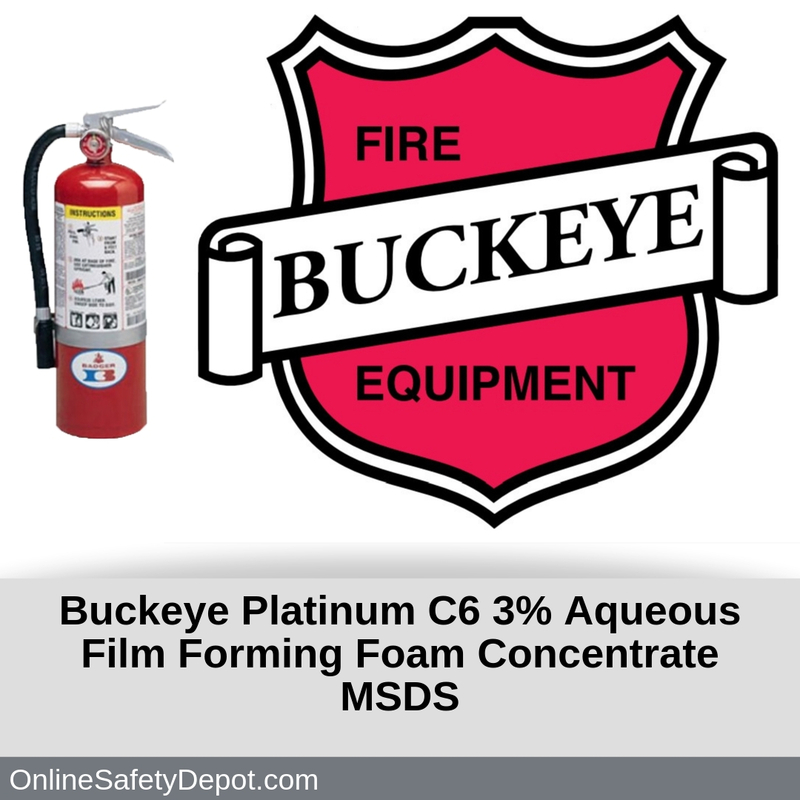 Buckeye Fire manufactures Platinum Plus C6 3% Aqueous Film Forming Foam Concentrate designed to fight Class A and some B fires using water-based agents that do not leave a powder residue. This section explains how to identify the C6 3% Aqueous Film Forming Foam fire extinguishant and provides various hazard and precautionary statements pertaining to health, such as exposure to various body tissues. This section identifies the physical and chemical properties of the C6 3% Aqueous Film Forming Foam agent.